Breaking up is hard to do! 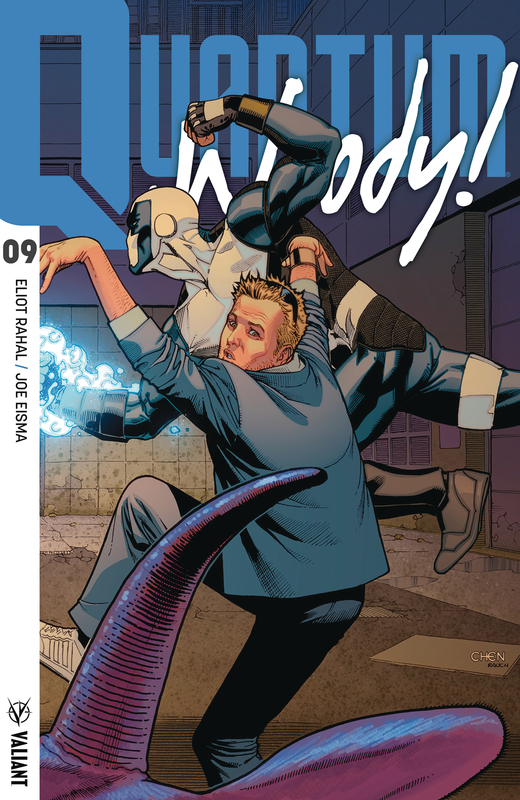 For Eric and Woody Henderson - adopted brothers, partners, and the erstwhile superhero twosome known as Quantum and Woody - the world has just turned upside down! Usually, they can't stand to be near one another... Now, they literally can't be - or their powers go on the fritz! That definitely makes being a 'duo' difficult, especially when a perilous new threat is teaching you just how bad you are at superhero-ing solo! Acclaimed writer Eliot Rahal (The Paybacks) and Eisner Award nominee Joe Eisma (Archie) divide the world's worst superhero team in two as 'SEPARATION ANXIETY' continues!